India accounts for 9% of all international arms imports between 2006-2010, being the world`s largest weapons importer. India occupies the first place on the list of the world's largest importers of weaponry in the past five years, the Stockholm International Peace Research Institute (SIPRI) said. According to new data on international arms transfers published by SIPRI, "India received 9% of all international arms transfers during 2006-10, with Russian deliveries accounting for 82% of Indian arms imports." 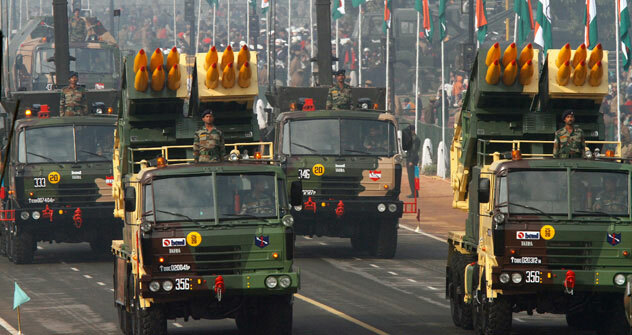 SIPRI experts believe that Indian arms imports are driven by a variety of factors, including traditional rivalry with China and Pakistan, as well as internal security challenges. "In general, the four largest importers of conventional weapons in 2006-10 are located in Asia:India (9% of all imports), China (6%), South Korea (6%) and Pakistan (5%)," SIPRI said. SIPRI's arms transfers database is the most comprehensive publicly available source of information on international transfers of major conventional weapons that have taken place since 1950.